5.6 oz. 50% preshrunk cotton, 50% polyester. Seamless collar, taped neck and shoulders. Double-needle stitching. 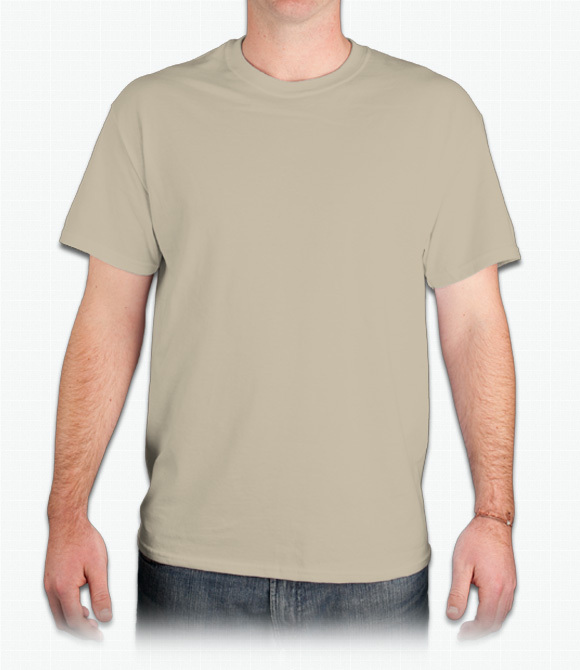 Made of 50% preshrunk cotton, 50% polyester. The fabric wicks moisture away from the body. A great loose fitting athletic shirt that will help keep you cool and dry in hot weather or during physical activity. Very casual, with a resonant look. "I like the 50/50 blend because they don’t shrink up. I gave a lot of t shirts that I get at different events and they all shrink and after a few washes I’m unable to wear them because they are too short. " "Would have liked to have seen the more athletic washed out grey as a color selection." "Have had done of these shirts for 5 years now and they're still wearing well"